Hocks Bike Top Climate was designed for bike riders who would fall in love with it at first sight. 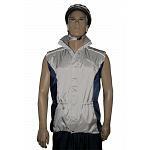 Shorter front and longer back are native distinctive feature for a cycling jacket. Extended back constantly offers protection when you are in a bike riding position while shorter front does not disturb your cycling movement. Bike Top Climate's draw cord will allow you to adjust this jacket to your body. 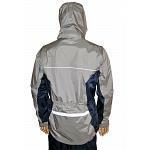 Unzip the sleeves and get a windproof vest. Chest and back pockets offer convenient additional storage. The net inside feed and the pleasantly softy fleece inlay in the collar guarantees the highest comfort. The Velcro attached hood can be either removed in a second or to be hidden inside of the collar. 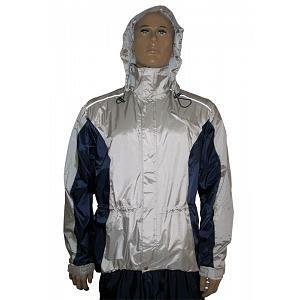 Reflectors provide around for good visibility when in bad lighting conditions.